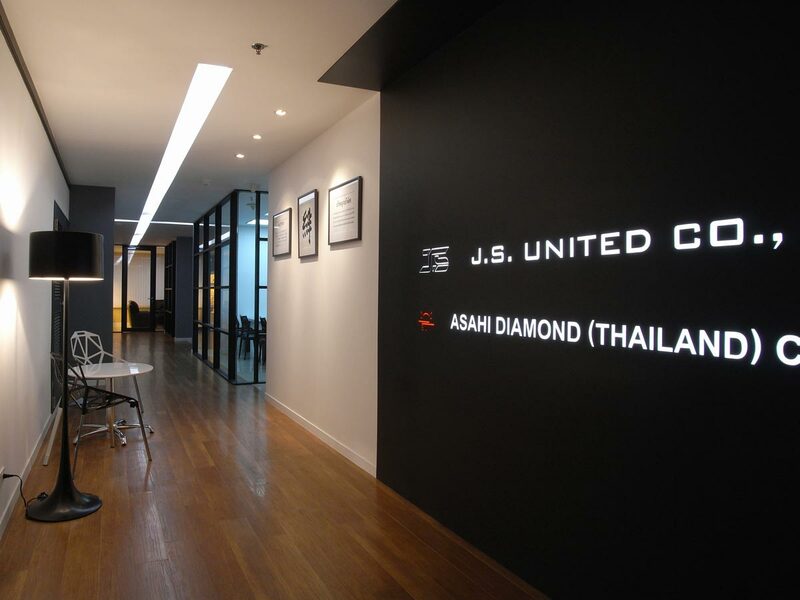 This is a unique project as both J.S United and Asahi Diamonds Co. Ltd., share a single common office compound. There are issues of interaction between both companies, interaction between the VIPs and staff members, as well as communication with the visitors to the showroom on the frontal side of the compound. These issues are design challenges that FAST SPACE DESIGN has promised to solve. The plan smoothly facilitates movement of people through the use of the VIP area as a central axle, which, when used in tandem with the infinite figure-of-eight shaped plan, enables interaction to occur naturally and spontaneously. The balance formed from by closed areas and open areas along with the interplay between the communication density and line-of-sight clarity is fine-tuned, resulting in an admirable mixture of private space and open facilitated communication space. 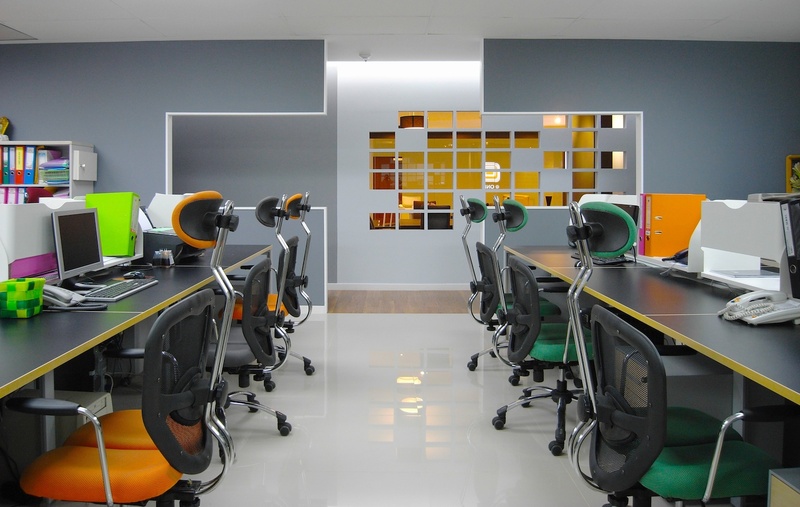 Interior Decoration : FAST SPACE DESIGN CO., LTD.
Photo : FAST SPACE DESIGN CO., LTD.